What’s MRSA and can babies get it? MRSA virus is a form of bacteria from the staphylococcus aureus (SA) family of germs. People that carry the bacteria on their skin are considered to be ‘colonised’ rather than be ‘infected’ as the bacteria is merely on the surface of the body, but if it gets under the surface of the skins via a cut or through a wound an infection like a boil or abscess can occur. More seriously if it gets into the blood stream through a wound it can cause blood poisoning, heart valve infection, urinary tract infection or pneumonia. It is spread by coughing or breathing over others or by direct skin contact even of something that somebody with the virus has previously touched such as a door handle. it only really causes problems if the bacteria gets into the body, most of us fight it off, but it’s harder if the immune system in low. that is why people normally get infected after surgery and why it is more of a worry for newborn babies. The washing of hands is the simplest but most protective way of preventing others especially infants from attracting the virus. Making others aware such as visitors that come to meet your new arrival, that it is important to wash their hands before holding baby. It is also important to keep the area around the baby’s belly button (stump of the cord) clean to reduce the risk of infection, not by using powders, lotions or creams, just the use of cool boiled water, cotton wool and pat dry, make sure it is dry and to prevent this area from getting wet a nappy should be folded under the stump of the cord (that will be the belly button). 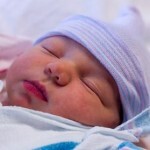 try to keep the baby away from crowds to help give her immune system chance to develop mainly for the first few weeks. If you go into a unit, you can ask a member of the nursing staff ‘what is the hospital’s infection control policy’, some have awareness campaigns for staff and visitors to help prevent any spreading of viruses. If your worried about giving birth due to the risk of MRSA and other bacteria/viruses you can always opt for a home birth or choose a different unit to help you and your partner/birthing partner to choose where you would prefare to give birth it is worth visiting your chosen place early and deciding if your happy with it.